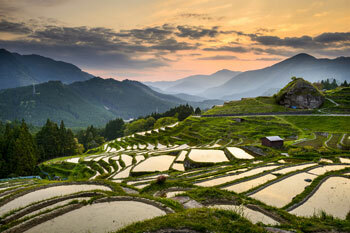 The Chūgoku region is the Western part of Honshū, comprising the prefectures of Okayama, Hiroshima, Yamaguchi, Shimane and Tottori. 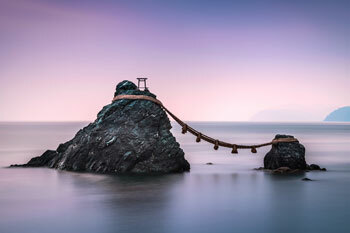 The southern coast, bathed by the Seto Inland Sea is known as the San'yō (山陽) region, or "sunny side of the mountains", in contrast to the San'in (山陰), the shady side to the north. 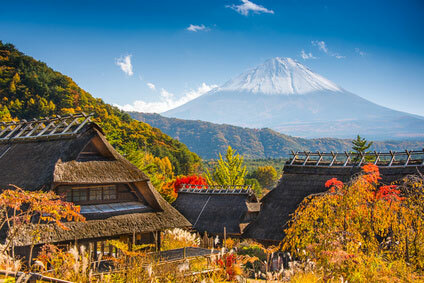 Although the area does not have any city over 1 million inhabitants, sightseeing isn't scarce. 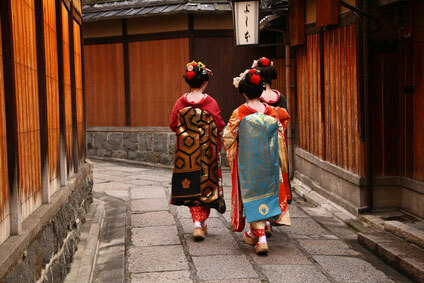 The prefectures of Yamaguchi and Hiroshima have particularly lots of small, attractive, historical towns. 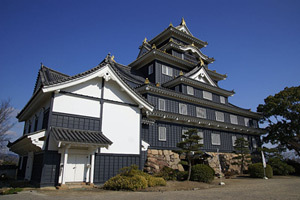 The biggest city in Chūgoku is Okayama, which has a famous black castle reconstruction. 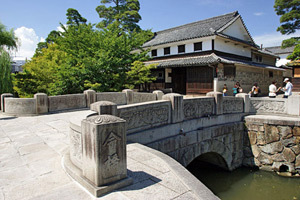 Nearby Kurashiki is one of the little-known jewels of Japan, with beautiful canals, plenty of museums, admirable Edo-era warehouses, and even greco-roman edifices. Following the San'yō railway line westward, stop at the castle town of Fukuyama on the way to Tomo-no-ura, a picturesque fishing village on the Inland Sea. Built on the steep slopes of Mount Senkōji, Onomichi is a messy-looking port, but one commanding great views. 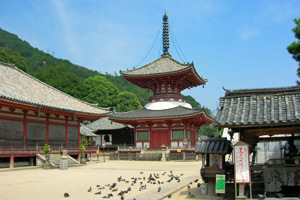 Its temple walk on the ridge of Senkōji-san are definitely a highlight of the region. The San'yō Expressway forks off at Fukuyama towards Onomichi, where it becomes the Nishi-Seto Expressway crossing the Inland Sea all the way to Shikoku on a compact archipelago. On the third island from Onomichi, Ikuchi-jima, lies Kōsanji, Japan's gaudiest temple. 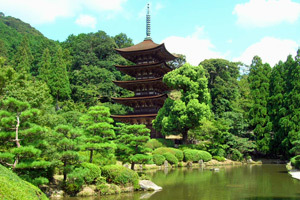 It was built single-handedly by a former business manager in 1936 and is exceptional for incorporating reproductions of some of Japan's most famous temples, a complex of nearly 20 buildings altogether, including a copy of the sumptuous Yōmei-mon Gate from Nikkō's Tōshōgū Shrine. 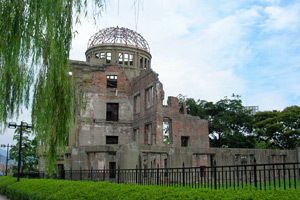 Everyone coming to Japan knows about Hiroshima, the city onto which the world's first atomic bomb was dropped in August 1945. 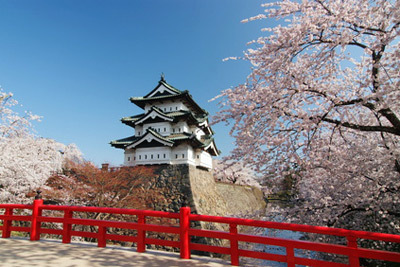 The bomb has destroyed pretty much all the historical monuments, although the castle was later reconstructed. 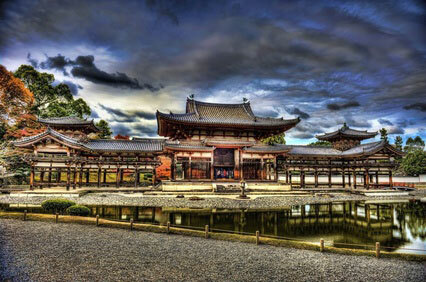 Apart from the A-Bomb Museum and Peace Memorial Park, the city also possess two fine art museums. 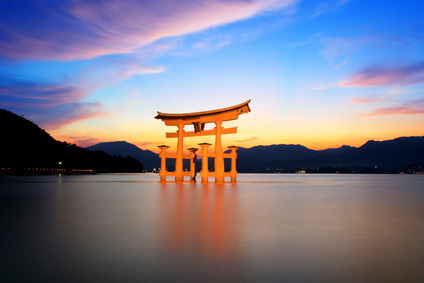 A stone's throw away from Hiroshima, Miyajima Island is home to one of Japan's most famous view, the floating torii of the Itsukishima Shrine. Iwakuni, just 45 min from Hiroshima, is a town divided between its samurai heritage, an old picturesque bridge and a US military base. 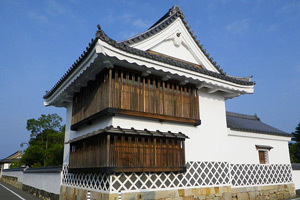 Yamaguchi city, the diminutive capital of Yamaguchi prefecture, has been called a "little Kyoto", due to its rich historical heritage. 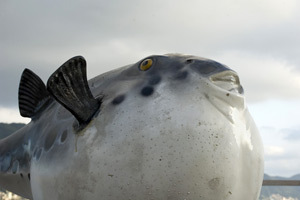 The last city at the western tip of Honshū is Shimonoseki, the crossing point to Kyūshū and national capital of fugu. 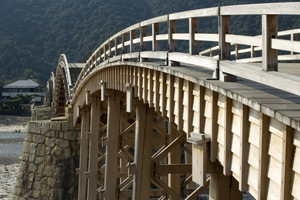 Going up the San'in coast from Shimonoseki, you will reach historic town of Hagi. 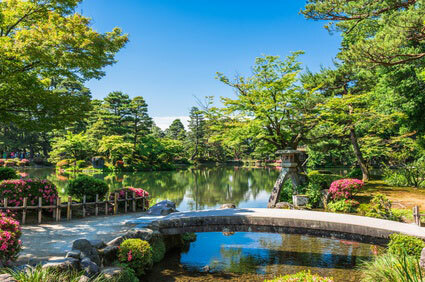 Samurai from Hagi played an essential role in the history of the Bakumatsu and Meiji Restoration. 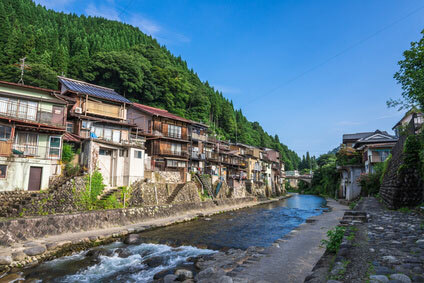 A bit further inland is the delectable Tsuwano, also renowned for its samurai quarter, and famous for its colourful carps swimming in the waterways along its old streets, and for its old steam train. 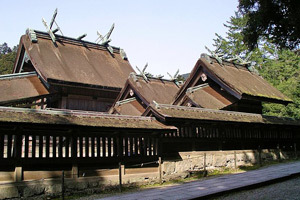 Izumo Taisha is one of Japan's great shrines. 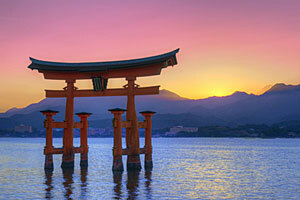 It is said that all the kami (gods) of Japan assemble there for one month every year. 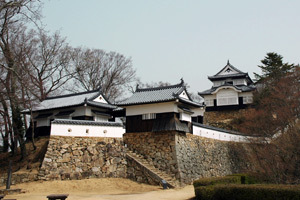 An hour away from Izumo, Matsue has one of Japan's few remaining original castle, and a pleasant samurai quarter, where British writer Lafcadio Hearn (1850-1904) lived for a year. Attractions are listed geographically, from west to east (left to right) and roughly from north to south (top to bottom).